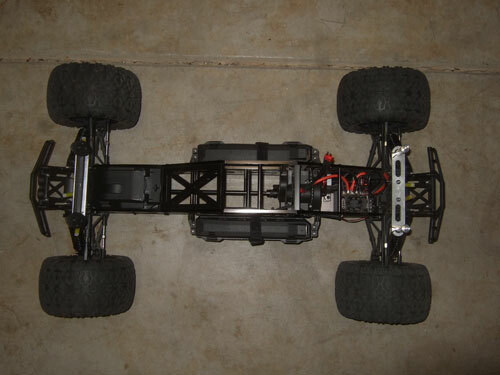 Preview of the TCS Flux 5T with an unpainted Proline Baja 5T Desert Rat body. In order to mount this body to the Savage I had to make some aluminum body mounts because the stock mount were weak and the rear mounts could not reach. 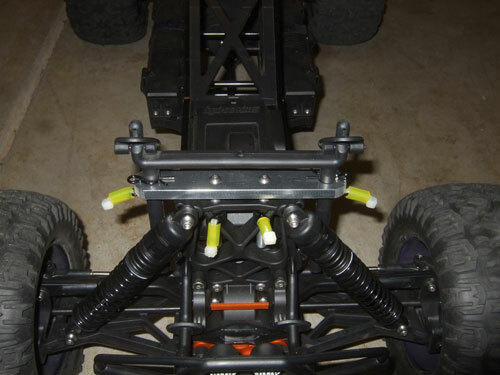 There is a top view of the TCS Flux 5T with the new front and rear mounts. 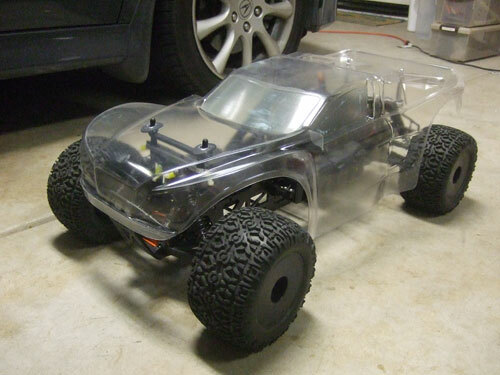 I took the plastic body mounts from the Baja 5T and mounted it to a custom aluminum plate is 1/4 inch thick. I could have used the stock body mounts but it was really weak and not strong enough to support the heavyier 1/5 scale body. The rear body mounts could not reach so I have to make the body post a lot longer. 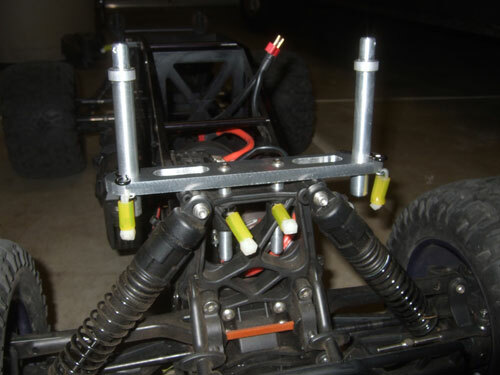 Similar to the front body mounts I use 1/4 inch aluminum to mount the body post.